The original winner of Pop Idol (the UK reality series and precursor to the X-Factor) Will Young has had a long and illustrious pop career spanning nine years, quite impressive considering he's only 32 years old. Since the release of debut #1 album, 2002's From Now On, Young has amassed a total of three #1 albums, not to mention two top 5 albums. On the singles front, Young has been fairly successful as well, releasing four #1 singles and six top 5 albums. Not too shabby Mr. Young. So what happened with the release of his seventeenth single, "Come On?" The song has the misfortune of becoming Young's lowest charting single to date, peaking at a disappointing #83. Has Young lost his mojo? God, I hope not. Originally a 2009 single by British electro-duo Kish Mauve, Young' cover was released November 21st from his fifth studio album Echoes. The album was entirely produced by electro-mastermind Richard X, with songwriting credits from various top English talent, including longtime Will Young collaborator, Andy Cato, Fred Falke, The Sound of Arrows, Richard Stannard, Pascal Gabriel and more. The album, which was released this past August became Young's third #1 album and spawned the top 5 hit single "Jealousy." The fact that the album's second single barely cracked the top 100 does not bode well for any of the album's future singles, which makes me nervous. 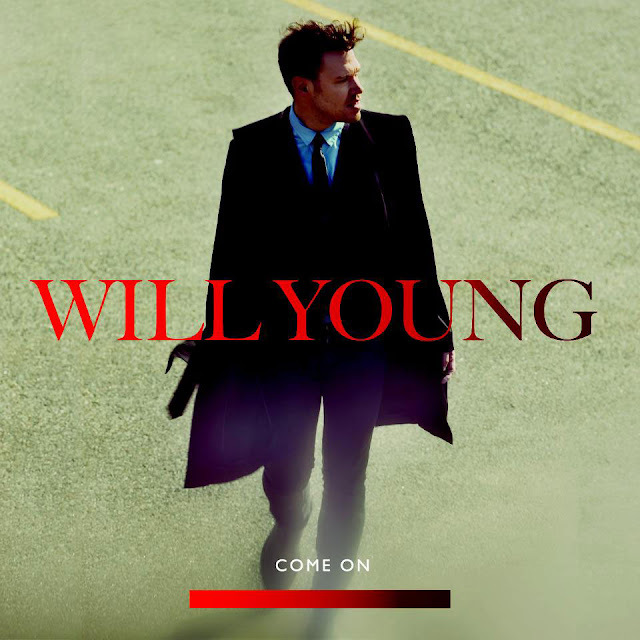 Would Young's long-time label drop him for one low charting single taken from a #1 album? I sure hope not. What really MAKES this song for me is the heartwarming and heartbreaking video clip, directed by Chris Sweeney. The video tells the tale of a boy (i.e. Will Young) and his dog. A flashback sequence mid-way through the video fills in some details about the boy's history with the charmingly adorable mutt. Back in the present, Young is showing his dog at a Crufts-like dog show of some kind. Surrounded by perfectly primped and pretty pups, Young's mutt stands out for what he is...a mutt. After the dog bumbles his way through some obstacles, injuring his paw, the dog turns it around and delivers for his master and best friend. Watching the video, it's impossible not to tear up a bit watching these two together. The video serves as a perfectly thought out complement to an already beautiful song. Why this song and video failed to connect with music-listeners is beyond me. I hope Young can turn things around with his next single. He's far too talented to have this be it. Look out for "Come On" remixes by Cahill, which you can download on UK iTunes HERE. Also check out Will Young on the UK horror series "Bedlam," in which he plays a charmingly nerdy tenant in a haunted apartment complex which used to serve as a mental hospital.